As far as I'm concerned, there are two kinds of people in this world: Mimosa people, and Bloody Mary people. Everyone has their brunch-time favorite, and I have to admit, I would consider myself more of a Mimosa gal. That is, until I discovered the wonders of homemade Roasted Tomato Juice. For a while now, I've been debating whether or not to take the plunge and buy a juicer. When Williams-Sonoma emailed me and asked for an inspired Bloody Mary recipe, I knew fresh tomato juice would be they key. 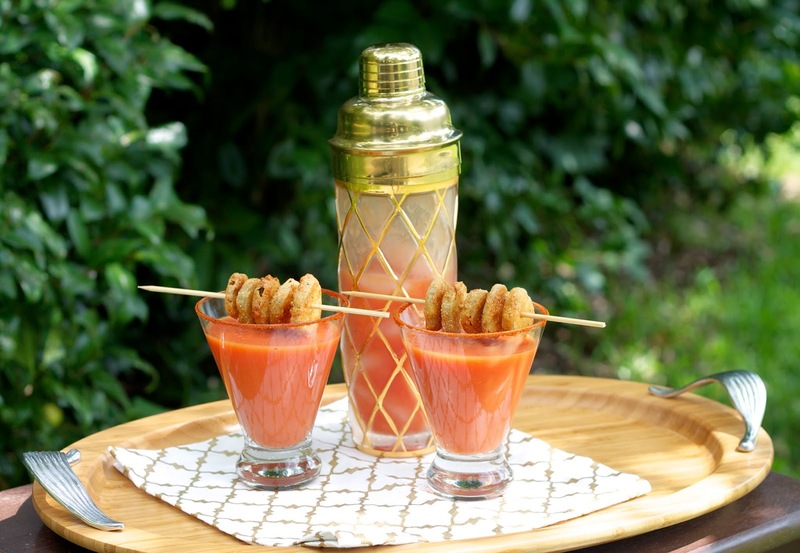 Roasted Tomato Juice adds a surprising, homespun twist on the classic Bloody Mary. Roasting the already ripe, juicy summer tomatoes elevates their flavor to a whole new tomato-level. All of this topped with a fried pickle garnish? I'd say we have a winner here! I strained my Bloody Marti's into a martini glass, but this would be great over ice as well. I went with classic ingredients, but you can always add more hot sauce, pickle juice, pickled veggies, shrimp; the possibilities are endless when it comes to Bloody Mary ingredients and garnishes! Preheat the oven to 400. 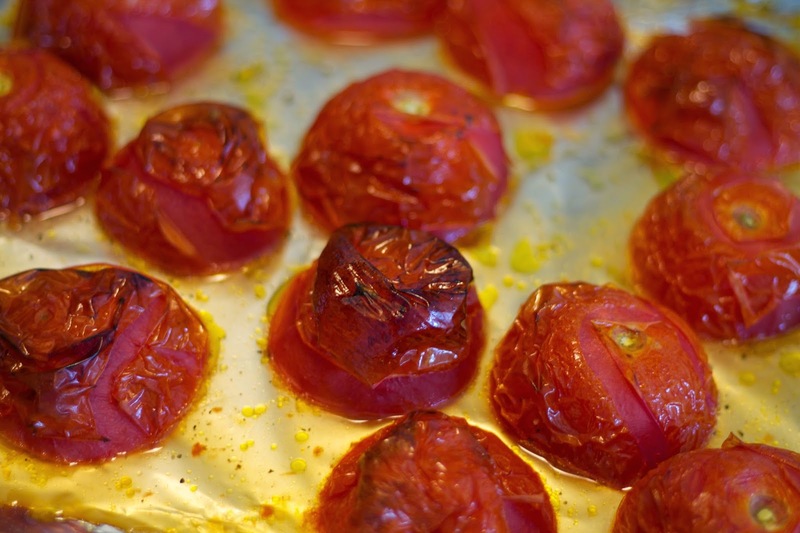 Slice tomatoes in half crosswise and lay, cut side down, on a baking sheet lined with aluminum foil. Drizzle with olive oil, salt, and pepper. Roast for 40 minutes, or until the skins have shriveled up and pulled away from the tomato. Let cool for 10 minutes, then pull the skins off and discard. Place the tomatoes and any pan drippings in a blender (if you have a juicer, use that). Puree the tomatoes until smooth. Pour the tomato puree into a fine mesh strainer to rid the mixture of any seeds. Set aside. To prepare the martini, combine all Bloody Marti ingredients in a cocktail shaker with ice. To garnish the glasses, run a lime wedge around the edge of two martini glasses and dip into a shallow dish of paprika. 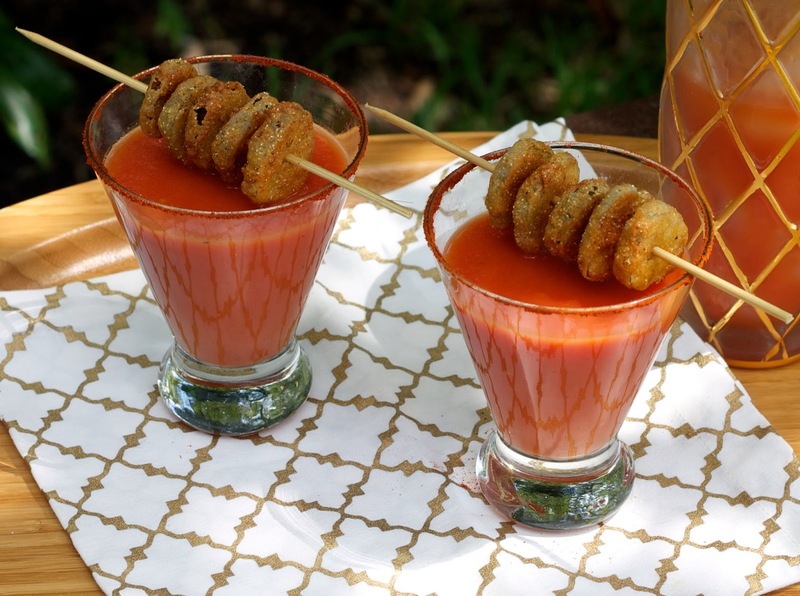 Strain the martini into the glasses and garnish with a skewer of fried pickles. Enjoy!